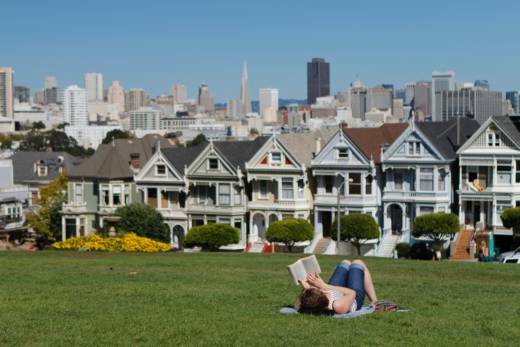 Reading outside is a summer pastime, but let’s be real: summer in the Bay Area really kicks off in September. We want to see where you love reading. It could be a cozy book nook, a wild outdoor spot with a stunning view, your local library or your neighborhood cafe. If selected, not only will you win a $50 gift certificate to Books Inc., but you could also see your photo featured in association with the Great American Read on kqed.org, our social media channels or our weekly Arts Newsletter! Please note: by using the hashtag #KQEDReads, you’re agreeing that you give KQED permission to repost your photo anywhere on kqed.org, on any of our social media channels or in our email newsletters in association with The Great American Read. If it's a photo someone else took, you'll need their permission to post it. You can enter as many times as you like. And don't sweat it; we’ll always credit you!